The Rainbow Conspiracy part 15 here. In 2013, Gregg Abbott stated that Battleground Texas represented a greater threat than North Korea; he called Texas the ‘last line of defense’ against a Democratic presidential victory. He was right. Leftist El Paso Democrat Beto O’Rourke is snapping at the heels of Republican Senator Ted Cruz in this year’s Texas US Senate race. What should have been a 15-point romp for Cruz is now way too close for comfort. What’s happening? Partially it’s O’Rourke’s totally committed campaigning style, partially it’s a fired up Democratic base, and partially it’s too much Republican complacency. But also, its the same reason the GOP lost Virginia and may possibly lose Arizona, Georgia, and Florida as early as this election cycle. Wealthy leftist donors have been funding mass voter registration efforts among minority voters and felons in the South and Southwest in hopes of eventually gutting the GOP’s soft underbelly. Stealth socialist San Francisco lawyer Steve Phillips and his Democracy Alliance partners Tom Steyer and George Soros have played a major role in this enterprise and turning Texas blue is their ultimate prize. Steve Phillips is working with two main groups: Texas Organizing Project and Battleground Texas. Founded in 2013 with a blaze of publicity, Battleground Texas aims to harvest the huge reservoir of non-voting black and Latino voters for Democratic candidates. 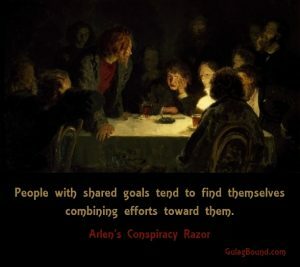 The stated goal of the group is to mobilize Democrats and Democratic-leaning constituencies that currently vote at lower-than-average rates – a costly and time-intensive organizing challenge in a state as big as Texas…supportive Democrats said they expected to raise funds well into the seven-figure range over several years, in order to support a sustained organizing effort. In 2013, Battleground Texas hosted a fundraiser at Netroots Nation in San Jose. Battleground will compete all over Texas. That means all areas of the state – including the ones where the Democratic vote needs to be 35 percent instead of 27 percent. It will do so through greatly expanded voter registration (they’ve already trained thousands of people to do so), specific community outreach including a Latino-specific program coming later this year, and grooming capable candidates of seizing the opportunity to take office. Battleground’s strategy is designed for the long haul, and Bird reminded everyone that Battleground will stay until Texas turns blue. In 2013, there were 1.5 million unregistered Hispanic Texans, 500,000 unregistered African Americans, and 200,000 unregistered Asians in Texas. There were more Hispanic Texans in Houston’s Harris County than Nevada and Colorado combined. Getting these people to the polls, cycle after cycle is the key to turning Texas blue. And if Texas goes blue so does America. These are the stakes Battleground Texas is playing for. “If you could get people to turn out at a rate that reflects their percentage of the electorate … we’d be neck-and-neck right now,” said Julie Martinez Ortega, Senior Advisor to the Democracy Alliance Latino Engagement Fund, and President of Steve Phillips’ PowerPAC+. Battleground Texas was founded by two senior organizers from the Obama Presidential campaigns, Jeremy Bird and Jenn Brown. Jeremy Bird is also a 2014 graduate of Rockwood Leadership Institute, which is close to the Freedom Road Socialist Organization. Rockwood’s program manager Lauren Veasey is a Stanford University alumni and serves on the board of Steve Phillips’ PowerPAC+. Battleground Texas’ co-founder Jenn Brown is much more directly connected to Steve Phillips. In 2008, Brown was Minnesota state director for the Obama campaign. She then managed nine states during the 2010 midterm election cycle as an organizer with Organizing for America. In 2012, she served as field director for Obama for America in swing state Ohio, where she oversaw a team of over 600 field staff and 130 offices. In early 2008, Brown was California director of Vote Hope, Steve Phillips’ vehicle for organizing mass voter registration drives to benefit candidate Barack Obama. Steve Phillips also played a key role in one of Battleground Texas’ key funders: the Texas Future Project – which is effectively the Texas branch of the semi-secret coalition of leftist mega-donors known as the Democracy Alliance. Houston-based trial lawyers and Democracy Alliance members Amber Mostyn and her late husband Steve Mostyn got the project off the ground. Started in 2013, the Texas Future Project is modeled on, and supported by, the Democracy Alliance, a national group launched in 2005 with the self-described aim of building a progressive infrastructure to counter a well-funded conservative message. 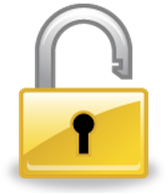 Linking to the Democracy Alliance gives the Texans access to a national donor network to help drive the effort. 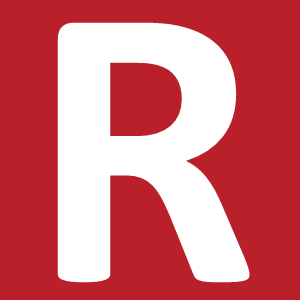 The Texas Future Project was started by the Mostyns – and San Francisco-based donor activist Steve Phillips, who was founder and chairman of PowerPAC.org, which conducted the biggest independent expenditure effort in the country in the 2008 presidential primaries to support Barack Obama. Also on the ground floor of the state project are labor unions concerned about Texas wages and standards. The AFL-CIO, American Federation of State, County and Municipal Employees and the Service Employees International Union helped start it. 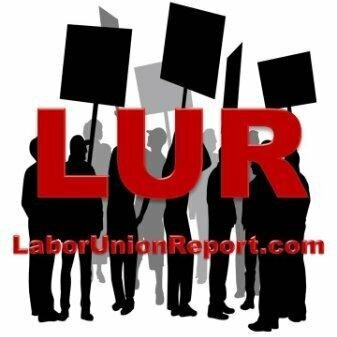 The United Food and Commercial Workers joined more recently. They include Annie’s List, Battleground Texas, Planned Parenthood of Greater Texas, the Texas Organizing Project and the Workers Defense Project. Battleground Texas was conceived in late 2012 when Jeremy Bird pitched a group of wealthy Democratic donors in Houston. Among them were Dallas progressive activist Naomi Aberly of Texas Future Project, a former board chair of Planned Parenthood of Greater Texas and Annie’s List in Texas. She also served on the National Finance Council for President Obama in 2008 and 2012. Austin realtor Kirk Rudy was there and Adrienne Donato, the Obama campaign’s chief Texas fundraiser. The subject of Texas had been in the back of Bird’s mind for years. ..Bird remained transfixed by Texas and its 38 electoral votes. The only state with more was solidly Democratic California. Added together, the two had 93 electoral votes, an all but insurmountable margin. While talking to field organizers or big donors, Bird would stand beside a map of the United States and sketch out pathways to victory from the West Coast to the East. Invariably his finger would fall on the Lone Star State and he would say, Someday we’re going to have a different kind of conversation about Texas. That day had now arrived. Still giddy from the reelection, the Texans in the room swore to Bird that their state was within reach if only someone with his field wizardry would coordinate the crusade. They told him how the state’s wealthy liberal donors were itching to spend their money back home. The effort would need a catchy name. Somebody—no one seems to remember who—blurted out “Battleground Texas!” and everyone buzzed with excitement. Bird had never met most of the attendees before, but he was impressed by their unity and enthusiasm. He walked out of the meeting thinking, We can do this. Shortly after that meeting, Jeremy Bird called on some potential donors, in search of a big start-up check. On the morning of January 14, Bird and Donato arrived at the home of Amber Mostyn and Steve Mostyn. The hosts had remained big donors since the debacle of 2010—they’d given $9.8 million to Democrats nationwide during the 2012 cycle—but defeat had made them wary. Now the couple and their political adviser, Jeff Rotkoff, listened to Bird make his pitch. He wanted $250,000 to start up Battleground Texas… They cut Bird a check, as did Naomi Aberly, longtime state Democratic activist Aimee Boone, and Houston attorney Carrin F. Patman, among others. In late January word went out to the state and national press: the Obamaites were coming to Texas, and they intended to stay. Several of those original donors, including Naomi Aberly, Amber Mostyn, Carrin F. Patman, and Kirk Rudy still serve on the Battleground Texas Advisory Board. So does former Dallas Mayor and Ambassador Ron Kirk, San Antonio Congressman Joaquin Castro, Brownsville Mayor Tony Martinez, and Iron Workers Union leader Marvin Ragsdale, and businessman Austin Ligon. Battleground Texas volunteer leader Jenn Longoria also serves, when she is not working in the campaign of San Antonio Democratic Socialists of America member Rick Trevino, who managed to get into the run-off for the District 23 Democratic Primary. Jenn Brown and Jeremy Bird no longer run their creation but still serve on Battleground’s Advisory Board. Steve Phillips also has an influence through Board member Eddy Morales, a former Director of the Democracy Alliance Latino Engagement Fund, who also serves on the Board of Phillips’ PowerPAC+. Battleground Texas’ first major public campaign was Wendy Davis’ 2014 run against Greg Abbott for Governor. After Davis, the “pink-sneakered state senator from Fort Worth” became a national sensation for filibustering an anti-abortion bill, Battleground Texas joined forces with her campaign. They were looking to capitalize on the Wendy-mania then sweeping the Democratic Party left. Steve Phillips’ PowerPAC+ also backed Davis as one of its key candidates in the 2014 cycle. Wendy Davis’ campaign for Governor of Texas is one of the most exciting opportunities for the multiracial majority to turn Texas blue. We have backed Wendy Davis since 2012 before she gained national prominence for her gutsy filibuster of the anti-choice legislation. Wendy champions quality education and healthcare. Her campaign is historic because it has ignited energy, resources, and attention towards turning Texas blue at every level of government. Trying to sell a pro-abortion Anglo to Battleground’s largely Catholic and Hispanic target audience was not easy. Battleground Texas registered 100,000 voters, recruited 35,000 volunteers, and knocked on 7.5 million doors during the 2014 election cycle. Davis lost by about 20 points — worse than the Democrat who had run for Governor during the 2010 wave. Despite Davis’ crushing loss, Battleground Texas stuck to its guns. 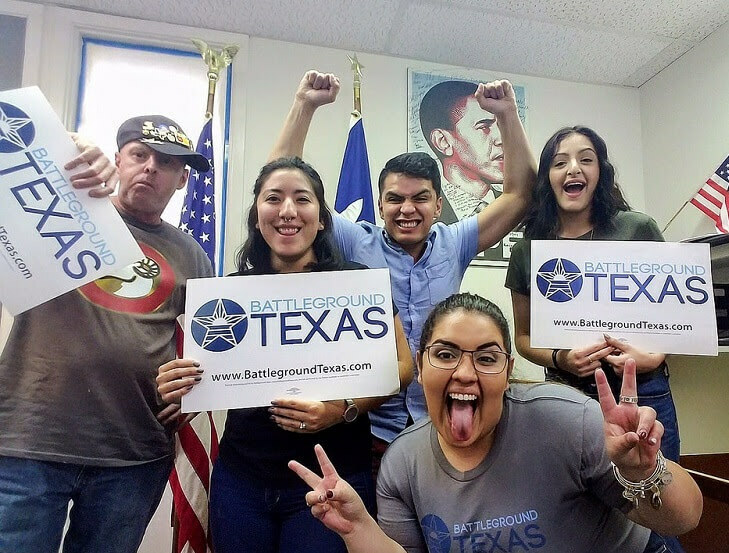 “With more than 35,000 volunteers united with Battleground Texas and thousands of voter registration volunteers deputized in counties statewide, we’re proud of the progress we’ve made working alongside so many great partners in our first three years,” Battleground spokesman Drew Godinich said in a statement. Godinich added that the group is by and large standing by its original strategy as it continues to work to turn the state blue. “We said from the beginning it would take a long-term, sustained effort to make Texas competitive,” he said. Bruised but not beaten, Battleground Texas has been quietly rebuilding its forces, doubling down on its efforts to motivate the Lone Star State’s vast reservoir of potential “minority” Democratic voters. 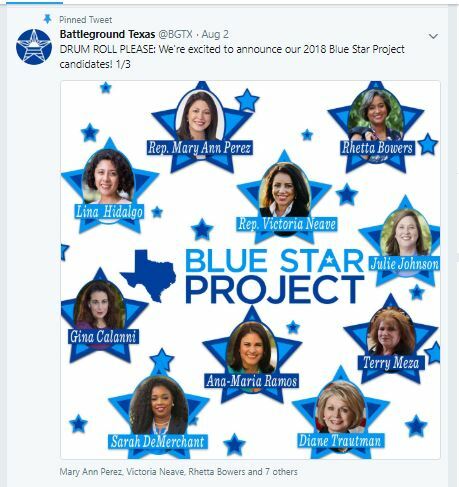 In August, Battleground Texas released its first wave of endorsements for the 2018 election cycle – The Blue Star Project. The first ten candidates were all female and mostly Hispanic. Two of them, Mary Ann Perez, State Representative, HD-144, and Victoria Neave, State Rep. HD107, were formerly endorsed by Steve Phillips’ PowerPAC+. Steve Phillips put up an interesting post on his Facebook page May 15, 2013. Julie Martinez Ortega, a San Antonio native, worked for the Democracy Alliance Latino Engagement Fund and serves as PowerPAC+ board president. She has worked with Steve Phillips since their student radical days at Stanford. Lorena Chambers worked for PowerPAC+ and is now a Latino voting consultant working with the Democratic Party. Joaquin Guerra serves on the PowerPAC+ board, is a former Political Director of the Texas Organizing Project, and now works as a political consultant in San Antonio. Eddy Morales serves on the Battleground Texas Advisory Board, worked for the Democracy Alliance Latino Engagement Fund, and serves on the PowerPAC+ board. 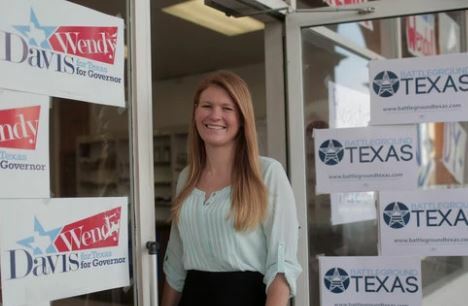 Jenn Brown founded Battleground Texas and formerly worked for Steve Phillips’ Vote Hope. Steve Phillips’ fingerprints are all over Battleground Texas and the campaign to turn Texas blue.